Pump cavitation is a common problem in pumping systems. It causes a number of issues for your pumping system, including excess noise, vibration, and energy usage, not to mention serious damage to the pump itself. Pump cavitation is the formation of bubbles or cavities in the liquid, developed in areas of relatively low pressure around the eye of an impeller. As the bubbles/cavities travel to the discharge side of the pump, moving to a high pressure area, the cavities implode. The imploding or collapsing of these bubbles triggers intense shockwaves inside the pump, causing damage to the impeller, vibration, and excess noise. In a perfect world, your pump should be sized properly for the application and your piping design should match. However, that's not always possible. If you’re dealing with pump cavitation, be aware that there is technology and techniques available to detect, monitor, and prevent pump cavitation. Here's a list of options available. DO I HAVE A CAVITATION PROBLEM? With cavitation comes vibration. One of the newest technologies on the market is able to detect higher than normal vibration levels and alert operators to the pump's upset conditions. 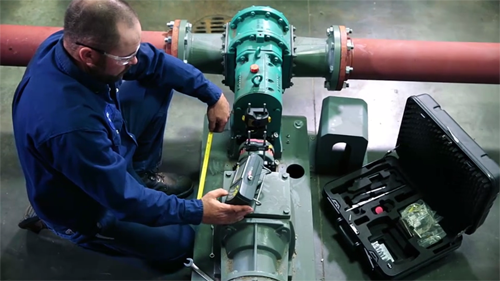 The i-ALERT®2 is very cost-effective and can be installed on any pump (or rotating equipment). One of the best things about this technology is that it has datalogging capability. So if your pump is cavitating or experiencing upset conditions when no one is around, or on another shift, you'll know about it. The i-ALERT®2 won't tell you specifically that you have a cavitation problem, but it will alert you to the fact that excessive vibration is present. HOW DO I PREVENT A CAVITATION PROBLEM? There are a number of things you can try to prevent cavitation. You can re-evaluate the piping design leading to the pump, ensure the pump is running at its best efficiency point, among others. 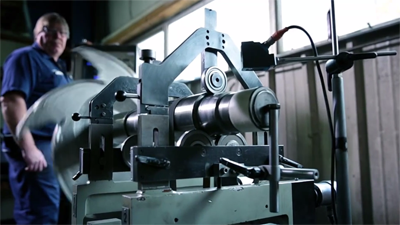 But there is also technology available for cavitation prevention. ITT's PumpSmart automatically right-sizes your pump to your system. The video below illustrates how cavitation is prevented when tank level is low, and NPSHA is too low. Installing gauges within your pump system is always a good monitoring option. You can reference the gauges to understand where the pump is on the curve. If it is starting to fall off track, your pump might be having a cavitation problem that requires investigation. 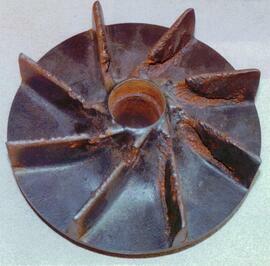 Clogged filters are a common cause of cavitation issues. As debris and particulates gather in the filter, NPSHA is reduced if the pump is not sized correctly. Shutting down production to clean filters and strainers isn’t exactly convenient either. However, there are ways around this. Automatic self-cleaning filters like Eaton’s DCF and MCF series are popular choices for processes where production can’t be stopped. Self-cleaning filters are great because, as the name suggests, they clean themselves. Once installed, they automatically filter any solids or debris from whatever liquid you are pumping. 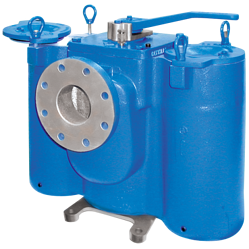 They are known to improve pump efficiency while requiring minimal operator intervention. Click to see a video on how self cleaning filters work. A duplex strainer, also known as a twin-basket strainer, filters and removes large particles of dirt or debris from liquid pumping systems. They never require downtime for cleaning because a valve is placed between the two baskets, changing the flow of liquid to one strainer while the other is being cleaned. 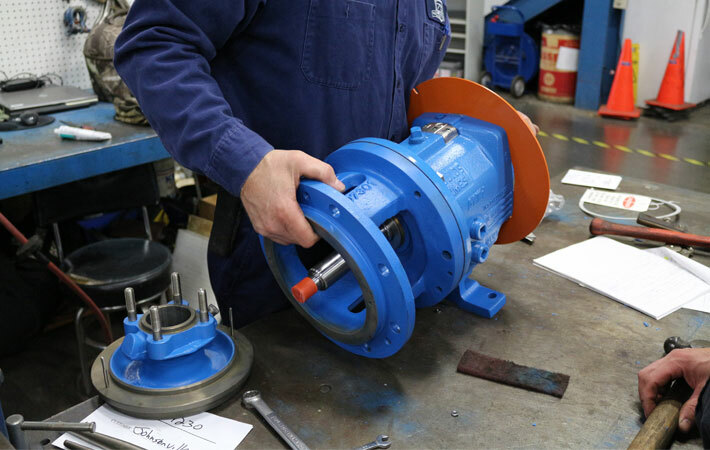 An ounce of prevention is worth a pound of cure, as they say, so it’s best to properly size your pump from the beginning and ensure the piping design fits the application. But we know that flows and processes change over time, creating an unintentional chain of events that can sometimes cause a cavitation problem where there wasn’t one before. Take advantage of the technology now available to properly manage and monitor the pumps in your facility. Still not sure how to resolve a potential cavitation problem? Contact us! 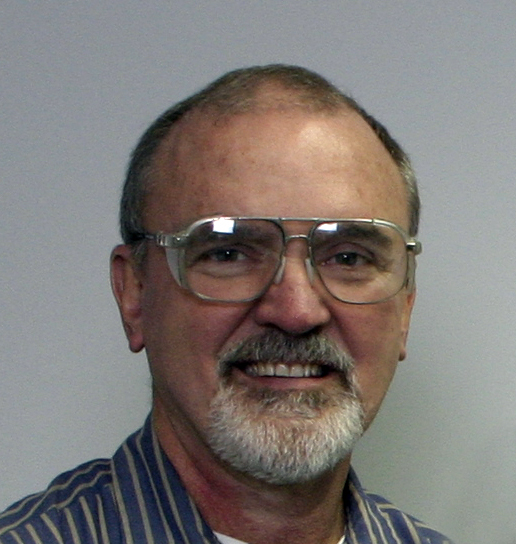 We’re happy to provide technical assistance to businesses in Wisconsin and Upper Michigan.